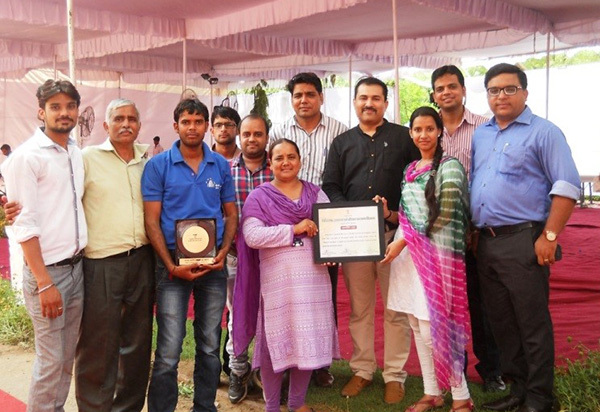 This award reaffirms FRHS India’s commitment to its core values of Client Centeredness, Courageousness, Accountability and Mission driven. 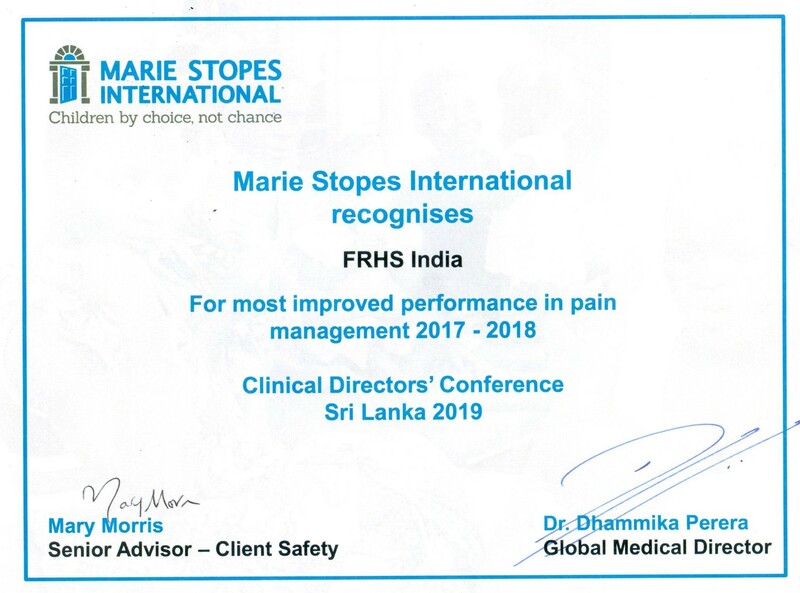 FRHSI will continue to serve its clients with quality of care, passion, integrity, dignity and reach out to the most vulnerable, marginalised and the farthest. 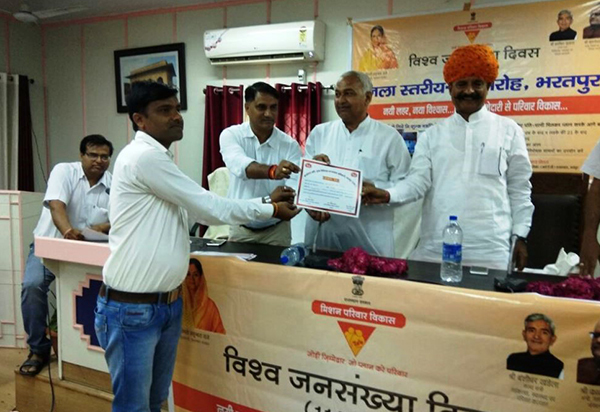 We are delighted to share that FRHS India’s UP team got felicitated by the National Health Mission in Lucknow on the 23rd of February, 2019. 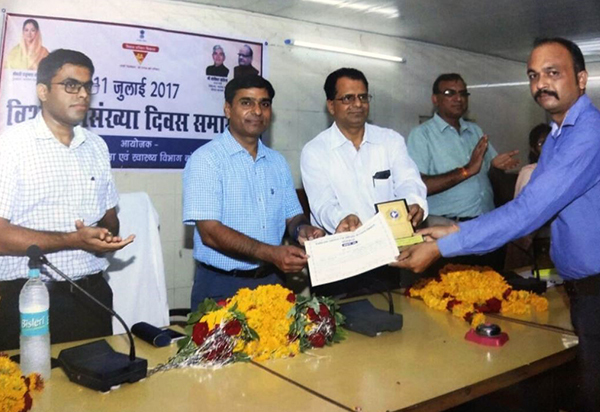 NHM Lucknow organised a recognition ceremony for ‘Family Planning Service Providers,’ both government and non-government, who demonstrated exemplary performance in field of family welfare during the financial year 2017-18 and on the World Population Day, 2018. 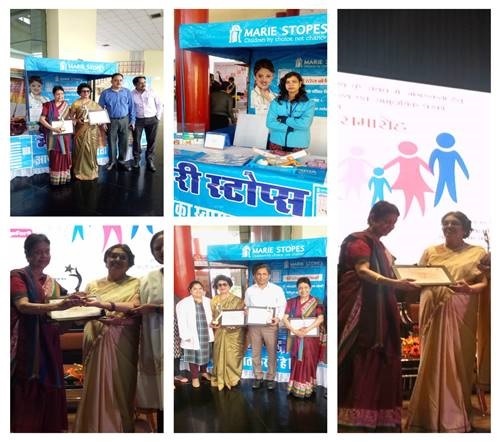 ‘Family Planning Providers’ were awarded 1st , 2nd and 3rd titles for providing excellent Female sterilization, Male sterilization and Post-partum IUCD Insertion services in the state. 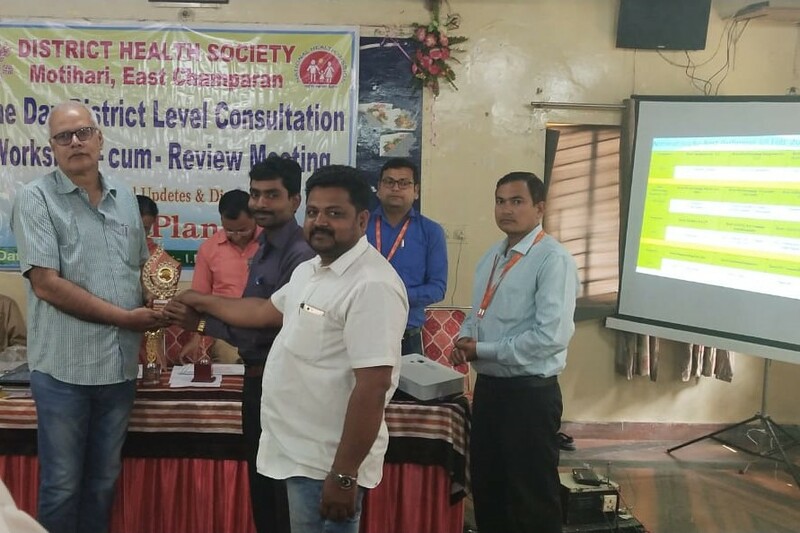 East Champaran team of Bihar has been awarded the ‘Best Supporting Team for TL and NSV’ by the Dr Shakuntala Singh, Nodal Officer- Family Planning. 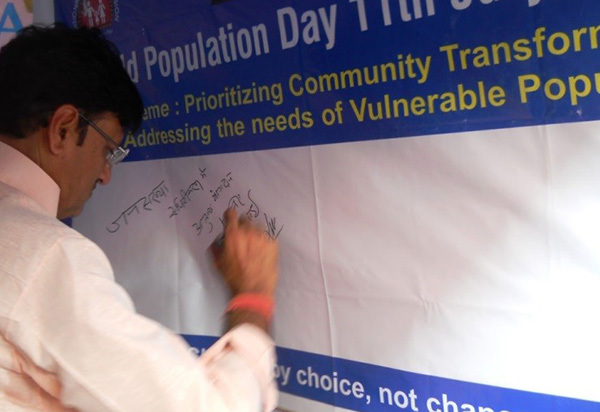 The event was organized by District Health Society (DHS) Motihari to disseminate FP manuals and guidelines. 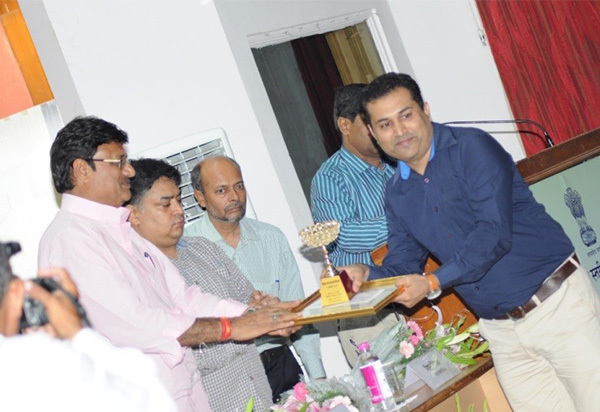 Sanjeev (Programme Coordinator) and Rupesh (Program Executive) represented the Foundation for Reproductive Health Services, India to collect the award. 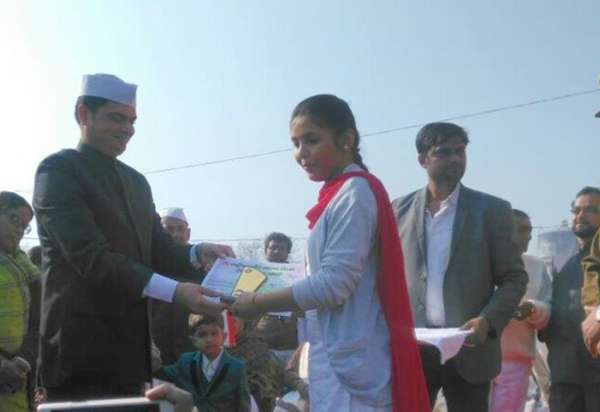 Join us in congratulating their efforts! 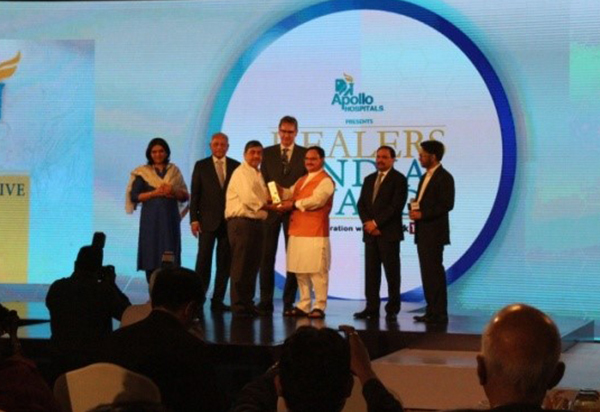 We are the proud recipient of the ‘Healers of India- Best NGO in Healthcare Award’, a path-breaking initiative of Network18 & Apollo Hospitals Group that aims to identify and honour the unsung heroes who are contributing their level best and working tirelessly to ensure better healthcare for India's rural population. 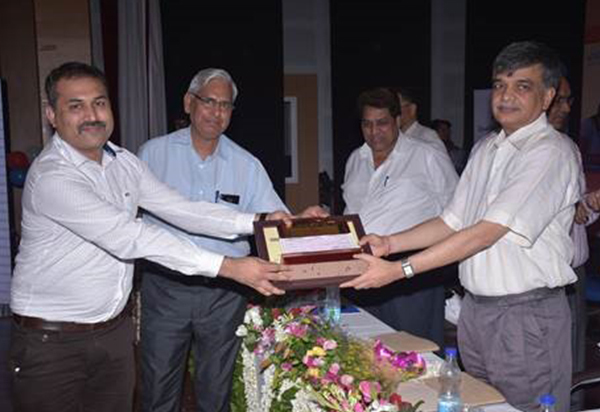 The award was presented by Mr. J. P. Nadda, Union Minister for Health and Family Welfare, Government of India, in the presence of a distinguished audience in New Delhi. 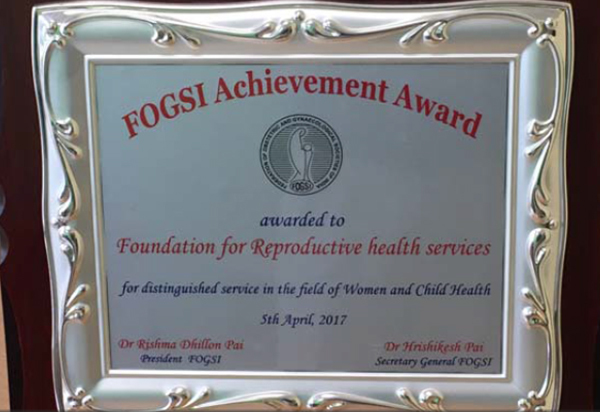 FRHS India was honored to receive the ‘FOGSI Achievement Award’ for distinguished service in the field of Women and Child Health, by the Federation of Obstetrics and Gynecological Societies of India, the professional organization representing practitioners of obstetrics and gynecology in India. Mr. V.S. 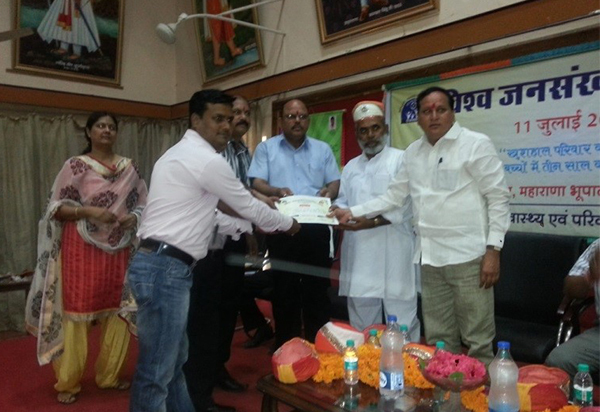 Chandrashekar, CEO, FRHS India received this award from Shri Faggan Singh Kulaste, Minister of State for Health and Family Welfare, Government of India at New Delhi on Wednesday, 5th April 2017. 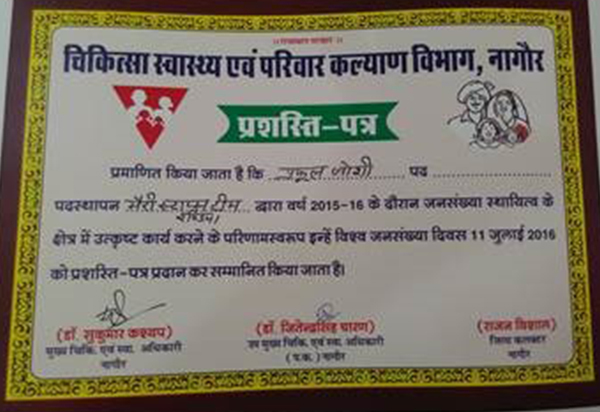 FRHS India has been the recipient of the ‘Best NGO in Family Planning Award’ for seven years in a row beginning 2012. 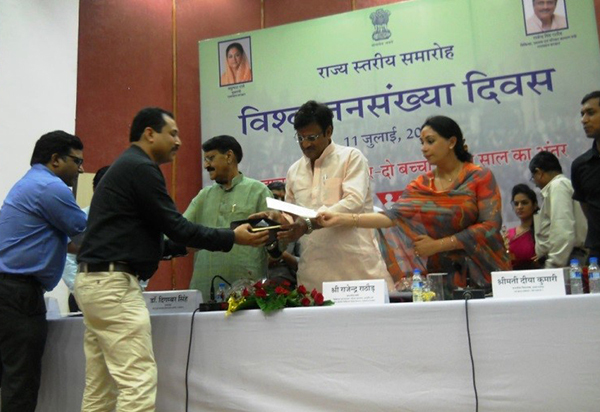 The annual award is presented by the Government of Rajasthan, to recognize the contribution of NGOs in the state. 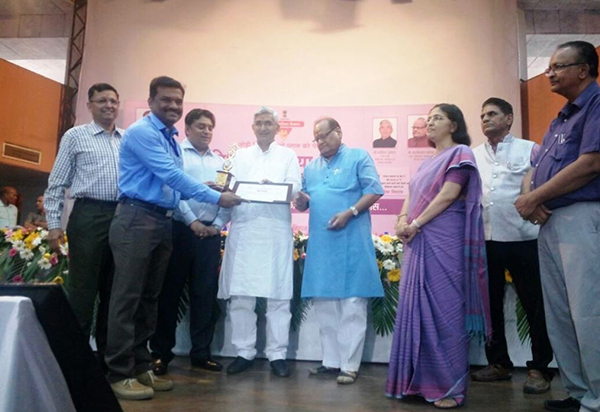 The for 2016-17 was presented by Shri award Kalicharan Sharaff, Minister, Medical, Health & Family Welfare, Rajasthan, on the occasion of the World Population Day on 11th July, 2017 in Jaipur.